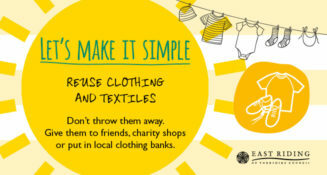 We would love for local businesses and service providers to offer local mums a discount or offer by mentioning Mumbler. Let Me Paint Your House! 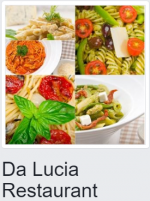 My name is Julia, mother of two children. Last year I finished my course in Painting and Decorating at Hull College, being nominated as a best student in Level 1 and Level 2 in Painting and Decorating. Fully insured and fully qualified, CSCS card holder. Covering Hull and surrounding areas. For more information please contact Julia on 07469234376 or email jsfemalepainterdecorator@gmail.com. You can also visit her website here or follow her on facebook here. Just mention Mumbler on booking to claim the 10% discount. 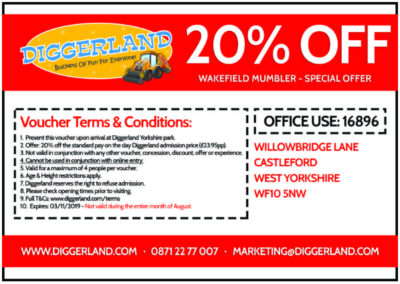 Mumbler has secured a 20% Discount at Diggerland!. With four Diggerland theme parks located in Devon, Durham, Kent and Yorkshire, you can dig until your heart’s content! 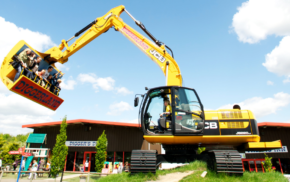 Also available at Diggerland for over 17’s only is Dumper Racing, JCB Racing, JCB Experience Days and Monster Digger Experience Days. Open most weekends and school holidays (closed Nov to early February) openings times vary check their website or call 0871 22 77 007. 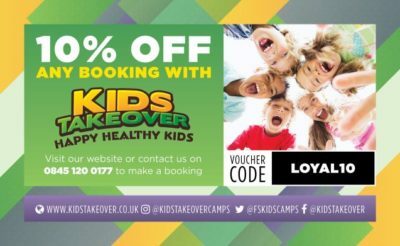 10% Off at Kids Takeover! Running daily in February half term, 18th to 22nd February. Cost – Main camp is £12.00 per day, £6.00 each for early drop off and late pick up. New membership scheme available which includes goody bag and great exclusive discounts. For info and bookings call 0845 122 3457 or visit their website here for more info. Learn to swim with East Riding Leisure Swim Academy. This STA (Swim Teacher’s Association) accredited scheme offers a fresh and innovative swim programme across our eight sites with pools, appealing to learners of all ages from baby /preschool lessons to platinum awards for advanced swimming, junior lifeguard courses, adult swimming and disability swimming. The programme is fun and exciting, and encourages children and young people to progress through levels and achieve through their success tracker booklets – collecting colourful badges, stickers and certificates along the way. With the use of fun characters such as Octonauts, as seen on Cbeebies, the scheme takes children and young people on an engaging swim journey series including Starfish, Octopus, Goldfish, Angelfish and Shark Series to name a few. Whilst on swimming lessons customers can also take advantage of free casual swimming. Children can be placed onto waiting lists for pre-school classes working through the Stanley awards from the age of 3 years, and Octopus 1 once in full-time education if children have no prior swimming ability. Children wishing to access any of the other stages can contact the centre to arrange a pre-assessment. If you are unsure what level of lessons you or your child needs to go on you can chat with our Swim Coordinator Jane Fenton. East Riding Leisure are offering 20% off a block of swimming lessons at East Riding Leisure Haltemprice only, valid until 31st March 2019. To claim show this page on your phone at reception or quote Mumbler20 when calling. Offer available to new customers only (not existing customers re-enrolling). Swimming lessons are available at 8 of our centres across the East Riding and cost £48 per block of 10 lessons. This offer is only redeemable at Haltemprice. Find out more about all the levels offered on our East Riding Leisure Swim Academy here. De Lacy Hair & Beauty, 21 Main Street, Willerby. 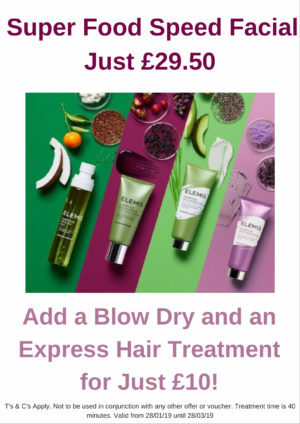 De Lacy are running a great offer on their Superfood Facial. Usually £48, this speedspa facial using Elemis products that are all vegan friendly, is just £29.50. Offer valid 28th January – 31st March 2019. To book call them on 01482 860707 or visit their website here for more info. Escape to a luxury cabin with private hot tub with Forest Holidays and enjoy a discount – the perfect getaway for families, couples and friends. Choose from 10 locations across the UK, including 2 on the edge of the North York Moors National Park on stunning Forestry Commission land and 1 in Sherwood Forest. You can pack your days with action and adventure, hiring bikes or trying your hand at canoeing, archery or a range of other pre-bookable activities. Or perhaps you prefer to luxuriate with a glass of champagne in your own private hot tub under a starlit sky, soaking up the serenity of the forest around you or enjoying a soothing in-cabin spa treatment. The freedom, the fresh air and the forest are yours to enjoy at your own pace, whatever the season. And our pet friendly cabins mean you can bring your dog too! Book now with code MUMBLERJAN19 to save 10% on breaks during January, February and March (book by 28th February 2019) or enjoy a year-round 5% discount using promocode MUMBLER19*. Don’t delay, visit www.forestholidays.co.uk or call 03330 110495 and quote the code. 7 The Square, Willerby, HU10 7UA. 2 main courses (either pizza or pasta) for just £15. To book a table call 01482 654288 or check out their website here. Sweet Victory Products offers a wide range of delicious Sugar Free, Gluten Free and other Free From treats including sweets, chocolates, teas, biscuits, jams, hampers and gifts! * Most Sugar-Free and No Added Sugar products sold by Sweet Victory Products are suitable for diabetics or as part of a controlled diet. However, as there are several different types of diabetes, we cannot say that this applies to all diabetics. All consumers need to consult their doctor or dietician if in any doubt at all. Water Babies provide baby and toddler swimming classes at Winifred Holtby in Hull, Holiday Inn Hull Marina and at Total Fitness in Willerby. For more info visit their website here. They are running a great offer to get a free Happy Nappy, a leak proof over-nappy for swimming worth £10.50, when you book classes with them. Simply quote MumblerHull when booking onto a Water Babies class to receive yours free. 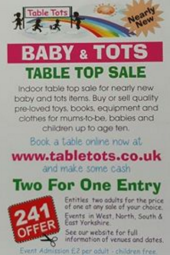 Table Tots run nearly new sales for baby and tots items across our area. They’re offering 2 for 1 on entries at all of their sales (adult entry is £2, children free). Simply print off this page and take it along with you to redeem the offer. For dates/venues of their next sales see the Mumbler Events Calendar here. For more information about Table Tots see their website here or email then at tabletots@live.co.uk.